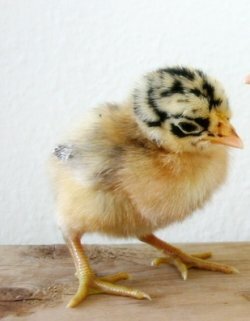 Sicilian Buttercups are an interesting breed. They don’t make the best egg layers, as they average only around two eggs a week, and they don’t make very good dinner birds as they aren’t overly large. 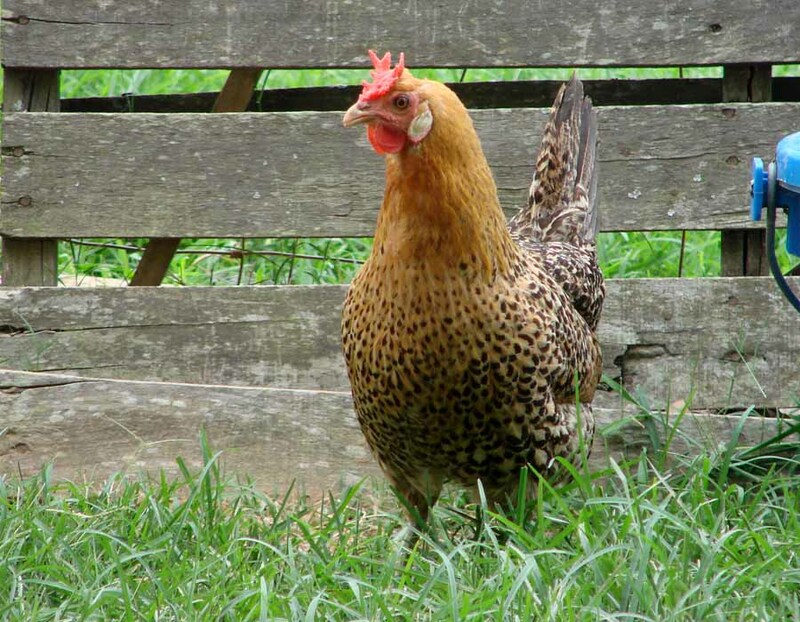 Classified as egg layers despite their poor egg laying abilities, they are a rare breed and make for good show birds and ornaments around your farm or homestead. Sicilian Buttercups do not like to remain confined for very long and remain extremely active. They love to forage about their runs and are also excellent and strong fliers. This means you’ll typically see them sitting up somewhere high like a roof or a fence. The Sicilian Buttercup gets its name first from Sicily, then from the cup-shaped combs. 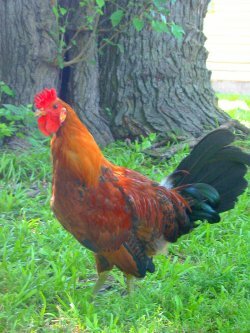 Male Sicilian Buttercups have coloring completely different from females of the same breed, with vibrant red and gold feathers all over their bodies with only a little bit of black showing through here and there and a prominent green tail. 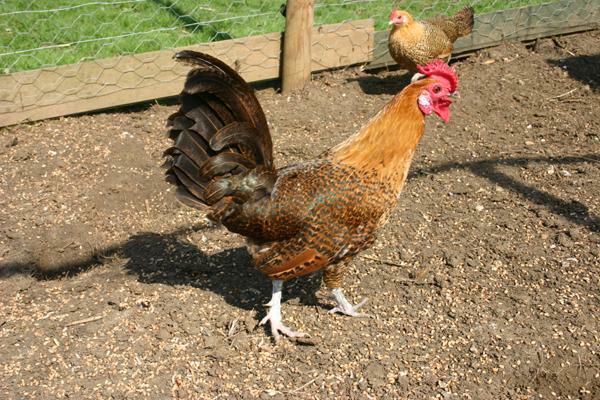 Hens, however, while still having a greenish tail, don’t have nearly as much red and gold as their male counterparts. Rather, they are primarily a white color with speckles of black feathers throughout their body. Both the male and female have willow green legs and feet and yellow skin. Because of their status as good fliers, you’ll want to be aware that they will probably be more than capable of leaping any fence you construct. They need lots of space to roam, forage, and fly about, but they can’t stand confinement, so putting them in a roofed-in area will drive them crazy. Just give them space and keep them away from danger spots like busy roads and they won’t be a hassle. On the plus side, they are very tolerant of heat. Coming from the island of Sicily, as the name suggests, the Sicilian Buttercup can trace its origins all the way back to 1892. In fact, all Sicilian Buttercups currently in existence can follow their breeding history back to the eggs first brought over from Sicily in 1892. They are considered rather rare these days though.